A controlled burn on private forest land that is designed to protect the town of Roslyn and improve forest health is being planned for the week of Oct. 2, weather permitting, as part of a fire learning exchange in North Central Washington. 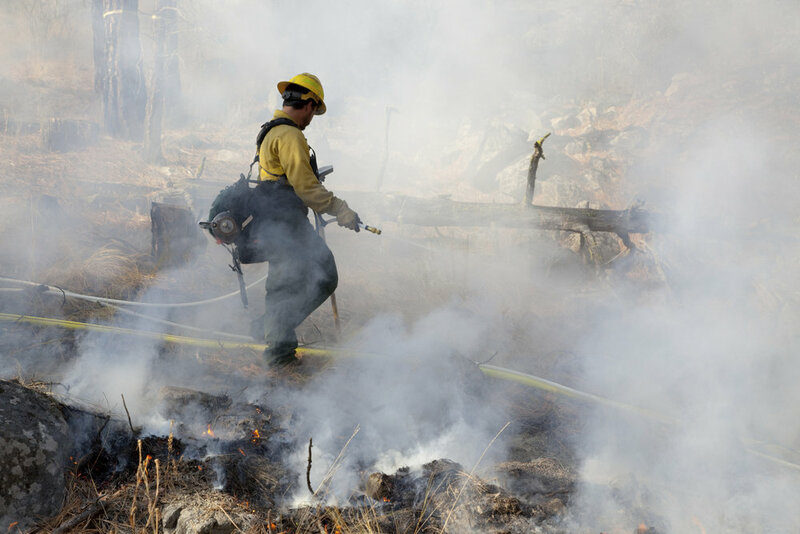 Controlled burning, or prescribed fire, is a time-tested and effective tool for making communities safer from wildfires and improving forest health. Professional fire managers safely administer the right fire, in the right place, at the right time. Recognizing that smoke is inevitable, fire managers will work closely with air quality officials to minimize smoke near people. A Cascades view along the trails between the Roslyn Urban Forest and the Teanaway Community Forest near the city of Roslyn, Washington. Photo by John Marshall. 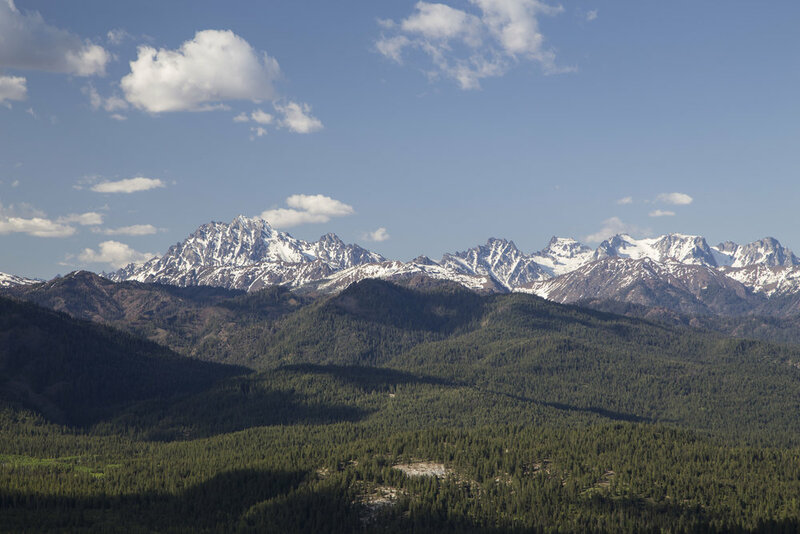 Martin’s land is just north of Roslyn, between the Roslyn Urban Forest and the Central Cascades Forest land managed by The Nature Conservancy. Martin has already thinned some trees as well as removed limbs and vegetation in preparation for the controlled burn. A burn plan has been developed that outlines safe weather and vegetation conditions to allow the burn, and the number and qualification of trained fire personal and equipment required. The controlled burn will use the recently constructed fire break, and include additional control lines around the perimeter. Once the controlled burn is completed, Martin plans to continue to improve the forest. The burn on the land Martin manages, which will span two days, is part of a two-week Prescribed Fire Training Exchange hosted by the Washington Prescribed Fire Council and the Chumstick Wildfire Stewardship Coalition, with The Nature Conservancy and the Okanogan-Wenatchee National Forest. Nick Gutierez wets down the grass and needles along the upperside of a fire line during a prescribed burn at Sinlahekin Wildlife Area in Okanogan County. Photo by John Marshall. This collaborative training, which runs through Oct. 5, allows sharing of expertise and learning across geographies and agencies as well as improving wildfire response and conservation practices over time. Training participants are from the Washington Department of Natural Resources, Washington Department of Fish & Wildlife, U.S. Forest Service, Chelan County Fire District 1, Chelan County Fire District 3, Kittitas Valley Fire & Rescue, National Park Service, and Oregon Department of Forestry. You can learn more about Washington’s work to expand controlled burning at Put Fire to Work. Those that are interested in learning more about fires and controlled burning are invited to attend the Era of Megafires presentation on October 6 (6:30 pm) at the Roslyn Yard. The Era of Megafires is a 60-minute, multi-media presentation presented by Dr. Paul Hessburg, a U.S. Forest Service Research Ecologist with the Pacific Northwest Research Station in Wenatchee, WA. For the last 32 years, Dr. Hessburg has been studying historical and modern era forests of the Western United States. The presentation also discusses ways our communities can prepare to deal with and minimize the urban impact of fires. As long as we ignore our unhealthy forests, we will have to accept the destruction associated with megafires. The event is free and open to the public.